UPSIZE PH | Quench Your Thirsty Thursday with Buy 1, Get 1 Jamba Juice on 15 November! It’s Payday Thursday and as we head into the weekend, everyone is looking to chill out early with a nutritious blend or two in hand. Here’s a great news: You can avail of Jamba Juice’s buy-one-take-one 12oz smoothie promo for Thirsty Thursday this November 15. End the weekdays with Jamba Juice’s GCash Friyay on November 16, where guests just have to pay PHP7 for a 12oz Classic smoothie via GCash QR. Jamba Juice also has Saturday, November 17, covered with the new Holiday Dreamin’ Smoothies. Get two 12oz cups for a fantastic deal of only PHP200. Started last Sunday, November 11 up until Sunday November 17, these exciting offers are part of Jamba Juice’s #7DaysofJamba headlined by seven exciting offers for seven days, plus two giant offers for all seven days. 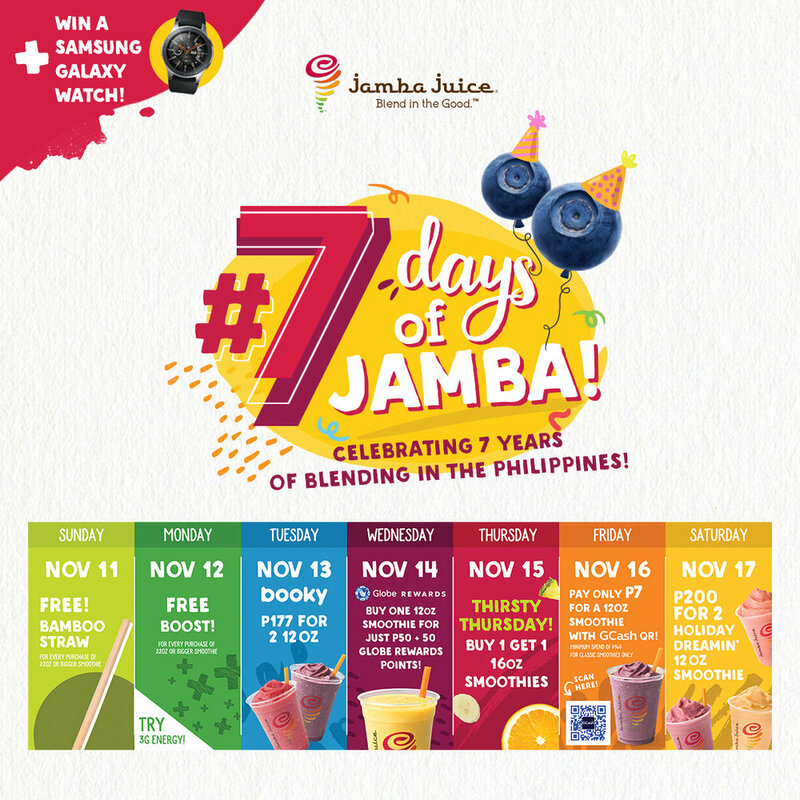 By joining any of the #7DaysofJamba in-store promos, you will get a chance to win a Samsung Galaxy Watch. 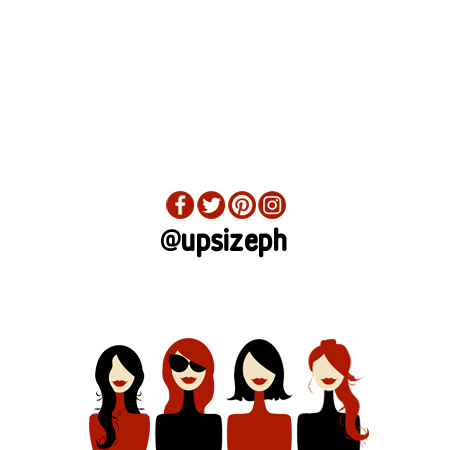 Every time you avail of a promo, your name is automatically added to the raffle draw. 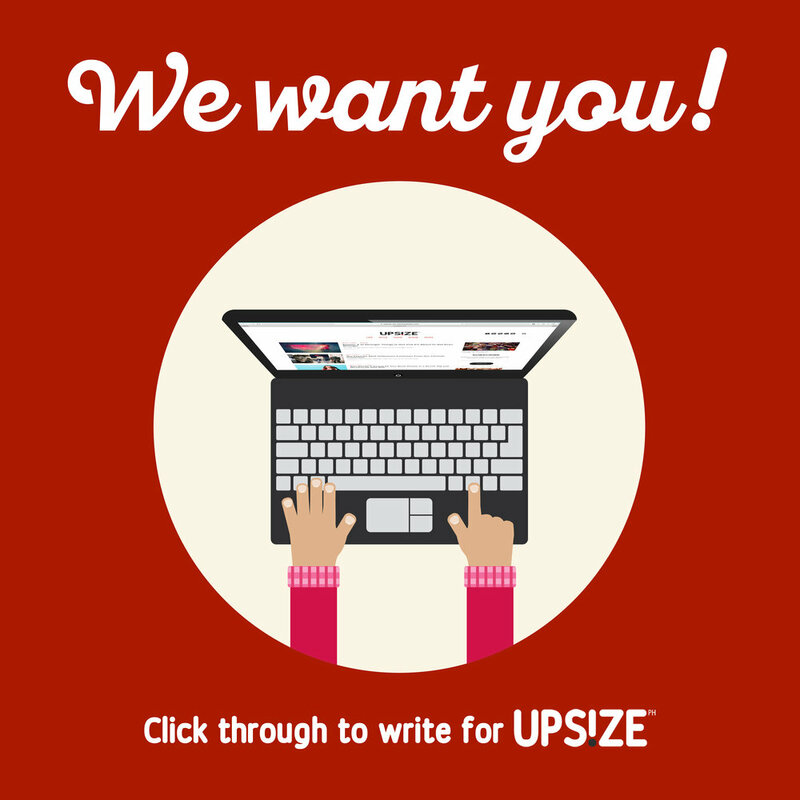 Those who don’t wish to avail of any promo can still enter by ordering any 30oz smoothie. For more details on each offer, see posters or visit facebook.com/jambajuiceph.